So Many Santas! 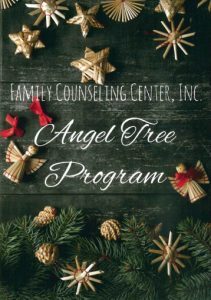 | Family Counseling Center, Inc.
We’ve been doing the Angel Tree at Family Counseling Center, Inc. for as long as most of us can remember. It’s truly a labor of love every year as we scramble to find a way to make Christmas happen for a lot of families who otherwise wouldn’t be able to have one. This year, the Angel Tree program provided Christmas gifts to families for parents to wrap and give to 295 children! Every Angel Tree is its own story but one fact is consistent: there are so many Santas involved that there is no way to properly thank them all. Some are individuals or families, including some who received gifts through the Angel Tree program once themselves. Some are charitable foundations. Some are businesses. 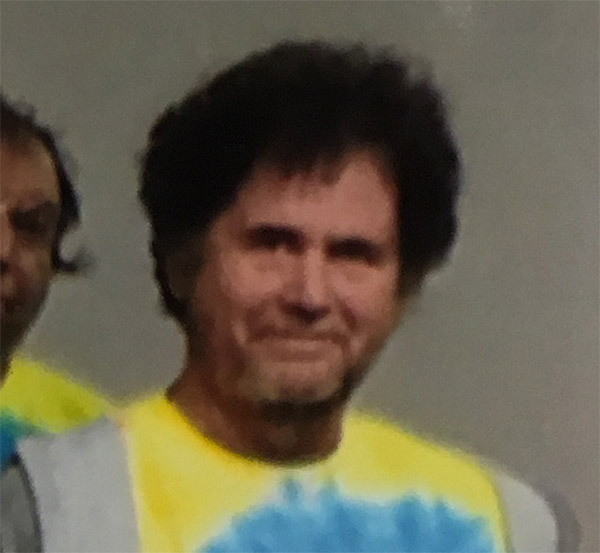 Some are groups of employees of government agencies. 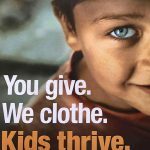 There are a lot of people and organizations that get involved with the Angel Tree but some get involved to a level that we want to make sure everyone knows about. We ask you to take a moment to read and share our story of these Santas who give of their own time and treasure to make sure that so many struggling families know that they are loved and that they matter to the people of our communities. On December 10, 2018, Family Counseling Center, Inc. was among several agencies that received over 1700 brand new toys and other gifts from The Poshard Foundation for Abused Children to distribute to the children and families they serve. 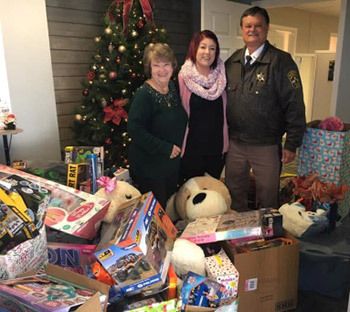 Employees of Vienna Correctional Center adopted 55 children from the Angel Tree. 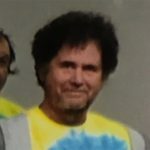 Thanks to Mary Barkley and her team for stepping up in such a big way! 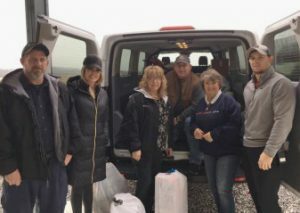 Chad and Chance Miles opened the doors to Miles Brothers Foods on October 27th, 2018, and it didn’t take them long to start helping their community in ways beyond bringing jobs and a local source for groceries to Vienna! 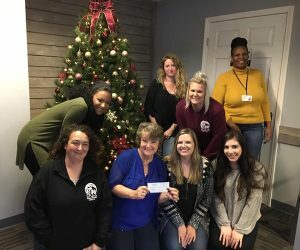 They not only hosted an Angel Tree for us but held a barbecue fundraiser for the Angel Tree program at their grand opening. 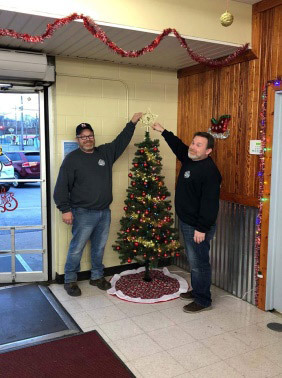 Chad and Chance also spoke to us in a podcast episode about the Angel Tree, their opening and their role in the community. 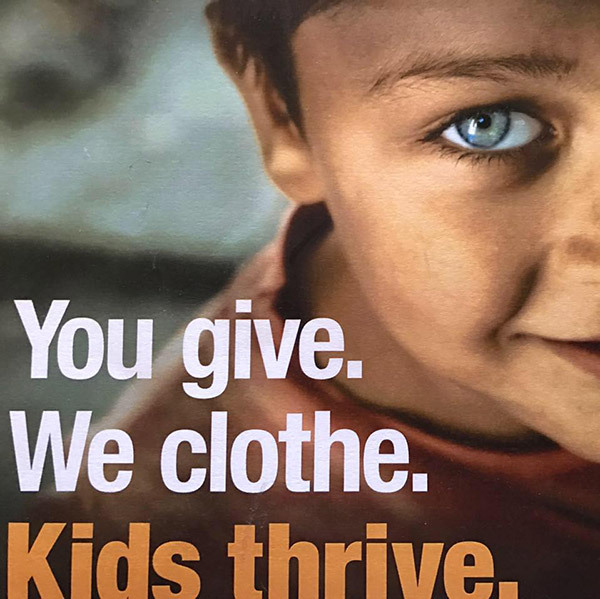 The Fowler Bonan Foundation and their Clothes for SI Kids program kicked in $3,500 in in-kind donations! We were so excited when the Knights of Pythias dropped off their $1,000 donation! This covered a lot of kids from our Angel Tree. 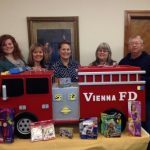 Once again the Vienna Fire Department came through! They brought in over $2,000 total value in cash and toy donations thanks to their diligent work throughout the community. You’ve probably seen their famous toy fire truck around town. 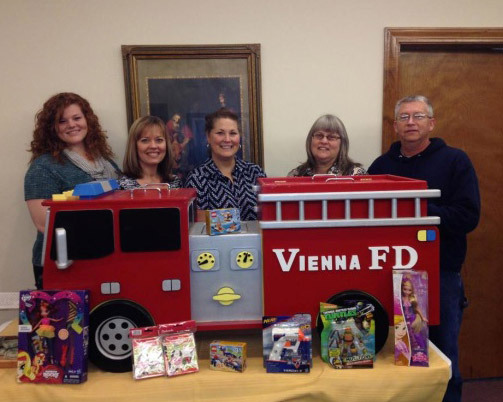 Thanks to Dale Russell and all of our friends at Vienna Fire Department for all they do for our community! The Cairo Elks Lodge 651 was our largest cash donor with a total of $2,000 going to the Angel Tree. We’re proud to have them as a partner in one of the communities we serve! Thanks to the Vienna Ministerial Alliance for their generous donation of $539 to the Angel Tree! Bruce Johnson has been a longtime friend of our agency and came through with a $500 donation for the Angel Tree. We can’t say enough to thank Marsha Hayes for all of her work on the Angel Tree program every single year! 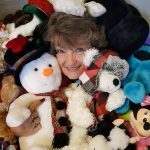 Whether it’s making silly videos, sorting out presents or recruiting extra elves to help support the cause, Marsha is by far our favorite Santa.